The Outlier S120 No Pocket Pivot is Outliers first 100% merino wool button up shirt. It’s made from a rather heavy 200gsm twill merino wool that is breathable enough to wear comfortably in hot weather but also keeps you insulated in the winter weather. The design of the shirt is quite similar to the Merino Co/Pivot shirt however this one lacks a pocket. The lack of a pocket makes this shirt more of a dressy piece and as a result harder to wear casually. The colours available for this shirt are quite subdued too. I found the ‘shadow grey’ a little close to the ‘bluetint grey’ slim dungarees in colour and harder to wear together. The way the twill fabric drapes is quite nice and it is very soft and comfortable in the hand and against the skin. Unfortunately this is one of Outliers first shirts that lacks any kind of nano coating and as a result means that water is not repelled from the surface. 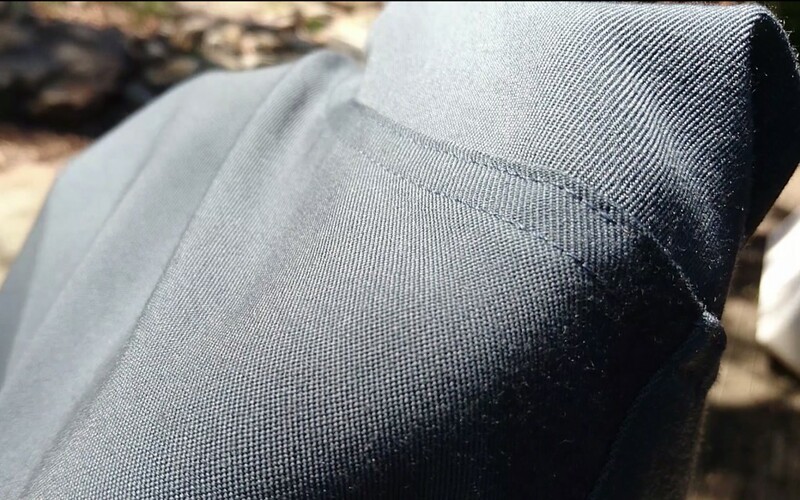 I understand that merino wool dries quickly and ‘wicks’ moisture but on an outer layer like a button up shirt having a nano coating is an important feature. It is worth noting though that you can apply a nano coating using a ‘wash-in’ method like Granders. Finally the price is possibly one of the most expensive shirts that Outlier makes at US$198 (AU$271). I understand that it is because the heavier weight the merino fabric, the more it will cost. So 200gsm will be more expensive (and warmer) than 130gsm. Wool and Prince, another NY startup, make 100% merino wool button up shirts with a more traditional cut and with a pocket. They use 130gsm merino fabric and their shirts cost a slightly more affordable US$128 (AU$175). Overall if you are in the market for a button up merino wool shirt Outlier makes a great dressy shirt for you to consider. However if you want to save a little bit of money and get a more traditional slightly less dressy option then you might want to look elsewhere, or to one of Outliers other shirts. 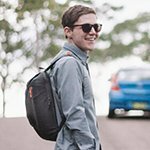 The merino co/pivot is a good option.